Shocking Hot Pink is Positively Pink. 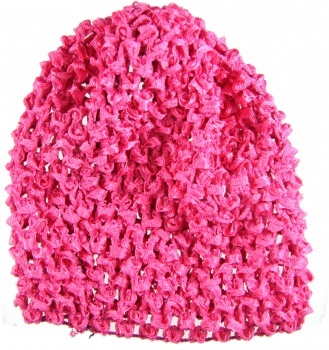 This Hot Pink Waffle Crochet Beanie will look outstanding on your baby's head. This is a well knit crochet hat that will match all your little girl's pink outfits. Add on any flowers or bows that can just slide on to your beanie for the perfect added touch.